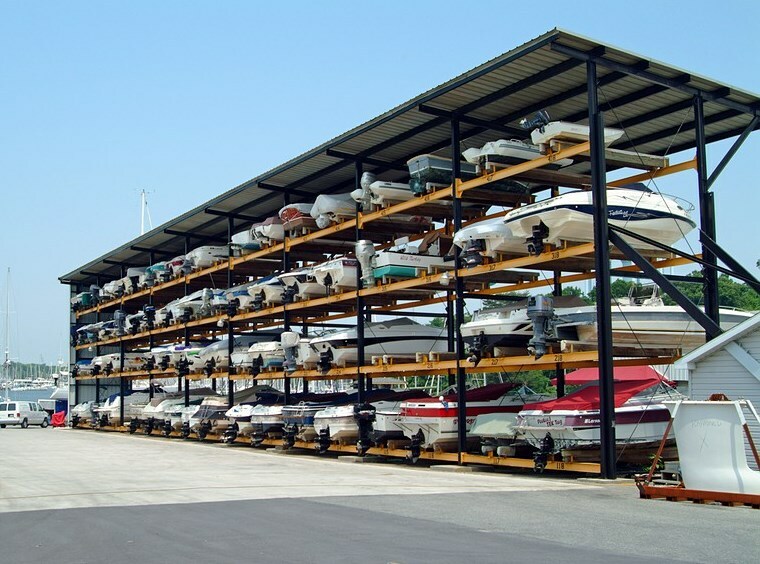 Bert Jabin Yacht Yard is home to Annapolis’ only high and dry service, known by our guests as Boatel. Perfect for powerboats and sailboats up to 30 feet, the Boatel provides boat owners with both dry storage and the freedom to haul and launch their boat any day during the haul-launch season, which lasts from April 1st to November 15th. Rental agreements are offered on a monthly or annual basis. Customers also have the option to remain in Boatel beyond the haul-launch season for Winter Storage, which is included in the annual rate. For more information on our Boatel service, please contact our office.